For Admission into Colleges in Orissa, to the +2(plus 2) classes, you can apply Online at www.dheorissa.in. 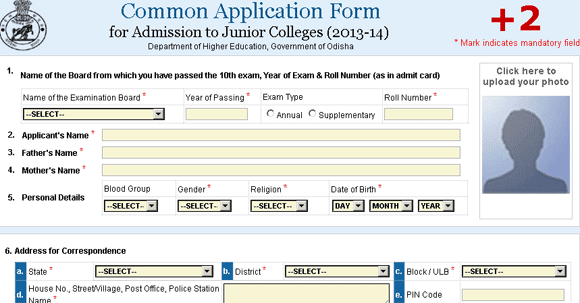 Remember that the Last Date for applying online for the e-Admission through www.dheorissa.in is 11th June 2013. So Please ensure yourself to submit your application before june 11th to avoid last day server down issue. For those who want to apply through manual CAF the Last date is June 12th 2013.